Are your goals compelling enough? 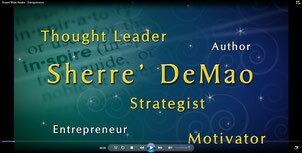 May 6, 2013 - Are your goals compelling enough? Have you considered that the reason you are not able to achieve certain goals is that they are not compelling enough? If the goals you have are not inspiring a need or desire to achieve them, then you really should be asking yourself if they truly are goals worth achieving for you. If you do have a deep desire to achieve these goals, then are you sharing them with others and have you thought enough about what it will take to achieve them? While your desire is a starting point, but action and effort are essential to transforming desire into accomplishment. Take an MM&I Moment to write down all your goals, not just your business goals, but your personal goals, as well. List the actions you can take today and this week in order to move your goals forward. If the goals are truly compelling, effort should and can be made with no reason to wait. Also list everyone with whom you are going to be meeting over the next week. What can you share about one of your goals with each person you encounter? Make it a point to discuss this, as well as to ask each person what they are attempting to achieve. Note your goals in a place where you can reference them and reminded yourself of your next steps, no matter where you are or what you are doing. Before you know it, what compels you to share will propel you to achieve exactly what you hope to achieve, and perhaps achieve even more than you could have possibly imagined.